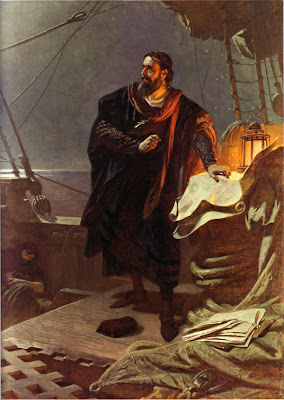 Columbus (1865) by the German painter Karl Theodor von Piloty (1826–1886). Despite this is one of the few paintings showing Columbus as a sailor Piloty focuses the attention on the lonely genius, it's much more Faust in his study than a captain aboard his ship. I wish you, A Happy New Year!! !